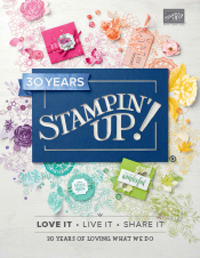 I've put together a video showing all those different ways I used the Stampin' Up! 2016 Hello December Project Life gift cards and accessory pack. There's also a giveaway of the Card and Accessory pack over on my business Facebook page. I will draw just after 8pm Melbourne (AEDT) time December 1st. Head over to my Facebook Page to get all the details. It's Occasions and Saleabration catalogue pre-order time tomorrow! Yeah! This means if you join up from tomorrow you can also choose these items in your starter kit. Here's all the details about joining with me. I'll be sending out the catalogues to all my regular customers around the 9th December. Online Extravaganza has started - up to 40% off! We're super exited that we Online Extravaganza in Australia this year too! 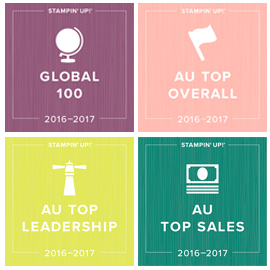 This has been a traditional US Stampin' Up! sale round Thanksgiving, but this year it's headed down under too! Just click on THIS LINK or the image above and you will be taken to a page showing 24 hour sale items (today only until 11.50pm AEDT), or a bunch of items that will be on sale all week until 11.50pm AEDT Monday 28th November). These are broken down into 40% off / 30% off / 20% off / 10% off ! I'll leave this up here for the week, so scroll down for latest posts - enjoy! 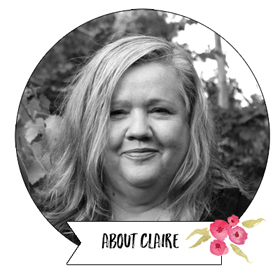 I haven't had a chance to give a full run down of the recent OnStage Live training event in Brisbane early November (promise it's still coming), but I did make this scrapbooking layout of the Centre Stage leaders event on the Thursday night. I do this every year so I can capture a photo of my Silver Elite and above team members. This year there were 7 of us attending. 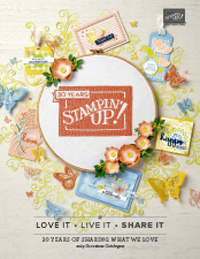 I have used a beautiful soon to be released designer series paper from the Stampin' Up! 2017 Occasions Catalogue, called Falling in Love. The other bits and pieces were things that were decorating our table place during the night, or attached to our beautiful gift. I love the Carousel theme (we have a great bundle coming soon with this theme) and I love that we managed to catch a glimpse of the Brisbane Wheel in our group photo. Here are a few close ups of the layout elements. The Swirly Scribbles Thinlits are great for using on scrapbooking layouts. The Fancy Frost Sequins in the Holiday Catalogue coordinate really well with these products too. I hope you have enjoyed today's layout. I've been really enjoying mixing scrapbooking with my card making again lately.